U.S. 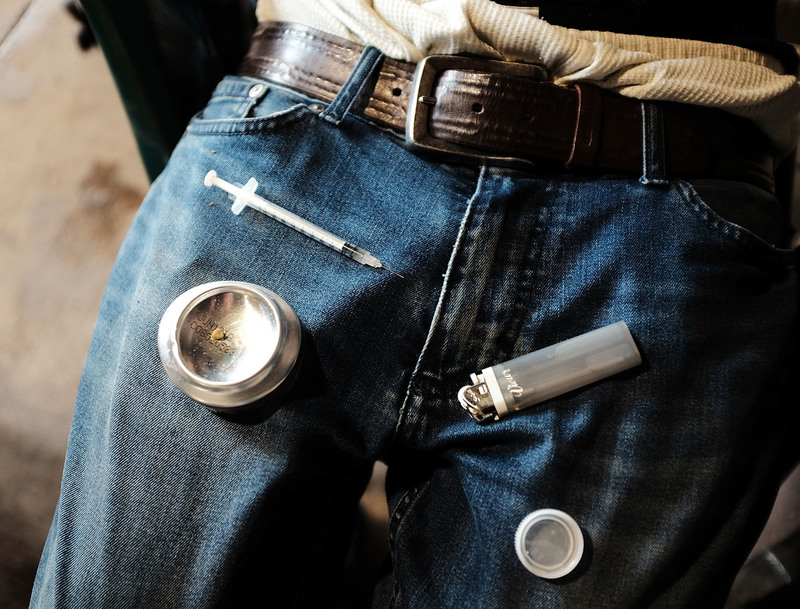 Prosecutors Block Opioid 'Safe Injection Site' In Philadelphia : Shots - Health News The U.S. government is intervening to stop the creation of a medical facility in Philadelphia where people could inject heroin without risk of overdose. Canada and Europe already have such sites. U.S. Attorney William McSwain and colleagues announced a civil lawsuit Wednesday in Philadelphia against the nonprofit Safehouse. "We have a responsibility to step in," McSwain says, though he adds, "We're not bringing a criminal case right now." The civil lawsuit, which is jointly being pursued by Pennsylvania-based prosecutors and the Department of Justice in Washington, is the first time the federal government has intervened in the hotly debated issue of supervised injection sites. The lawsuit could become an important legal test case as about a dozen cities across the country consider similar proposals. The suit comes just as Safehouse officials ramp up fundraising efforts and continue to scout a location for what they say is a medical facility that can save lives. If federal officials succeed in court, the momentum behind Safehouse may be lost. What's The Evidence That Supervised Drug Injection Sites Save Lives? "This is in-your-face illegal activity using some of the most deadly, dangerous drugs that are on the streets. 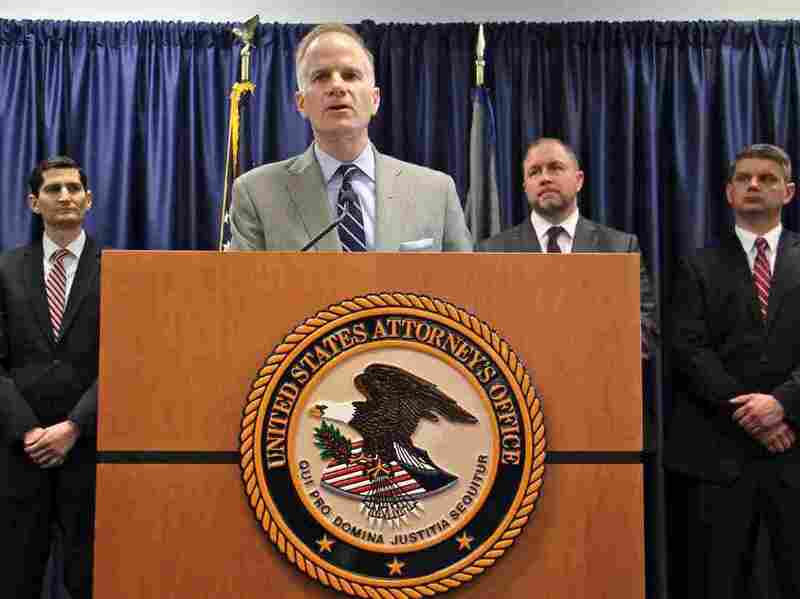 We have a responsibility to step in," says William McSwain, the U.S. attorney for the Eastern District of Pennsylvania. "It's saying, 'Safehouse, we think this is illegal. Stop what you're doing.' "
According to the suit, a supervised injection site would violate a section added to the Controlled Substances Act in the 1980s during the height of the crack epidemic. That section of law was written to close crack houses, but legal experts say it has been used more expansively in the past. McSwain's comments affirm remarks made last year by Rod Rosenstein, deputy U.S. attorney general, who said in an interview with WHYY that swift and aggressive action would follow the opening of a supervised injection site. Such facilities operate in Canada and Europe, but none exist in the United States. That has not stopped other cities like New York, Denver and Seattle from publicly debating similar proposals. In Philadelphia, the one-count civil lawsuit is far from the most assertive posture federal prosecutors could have taken, McSwain says. The suit is asking U.S. District Court Judge Gerald McHugh to rule on the legality of Safehouse's plans, rather than waiting for Safehouse to open and then cracking down with arrests and a prosecution. "We're not bringing a criminal case right now. We're not arresting anybody. We're not asking to forfeit property. We're not looking to be heavy-handed," McSwain says. "This can serve everyone's interest, in order to find out what the court thinks of this. But this, in our view, is illegal." A man uses heroin under a bridge where he lives with others addicted to opioids in the Kensington section of Philadelphia. Public health officials hope opening up a medically supervised drug injection site could curb opioid overdoses and facilitate treatment. Ronda Goldfein, vice president and attorney for Safehouse, says federal drug laws were not written to obstruct a medical facility focused on saving lives and moving people who are addicted to opioids into treatment. She is confident the court will rule in Safehouse's favor. "We have a disagreement on the analysis and intention of the law," Goldfein says. "We don't think it was intended to prevent activities such as this, and perhaps it will take a court's ruling to move the issue forward." The provision of the law in question is widely known as the crack house statute. It makes it illegal to maintain a space for the purpose of making, storing, distributing or using an illegal drug. Safehouse would not make or provide opioids to users. But it would allow people to bring in their own drugs, to use while being monitored by medical staff. A study by Alex Kreit, a drug policy specialist and law professor at Thomas Jefferson School of Law in San Diego, found that the law has been successfully used by prosecutors in situations that include a drug seller operating out of a car dealership; rave parties where ecstasy was prevalent; and a concert promoter who threw "jam band" music festivals where illegal drugs flowed freely. Kreit says that while the language of the Controlled Substances Act is broad enough to encompass an injection site, he can also imagine a defense based on local conviction about the need for such a medical service gaining traction in the face of the opioid crisis. But he says winning with that pitch would be an "uphill battle" in federal court. "It is completely untested in terms of how federal law will apply to safe injection sites," Kreit says. "People will be watching this very closely — particularly in other cities that have expressed their intention of starting a safe injection site." Safehouse is a privately run nonprofit that has the support of top city officials but will not be receiving any taxpayer funding. Planners say they aspire to open a facility in 2019, though, at least publicly, they have not committed to a more specific timeline. Philadelphia health officials estimate that opioid-related drug overdoses kill about three people a day in the city. The more than 1,100 people who died from an overdose last year is triple the murder rate. The overdose mortality rate hit a five-year low last year, and city officials attribute the decline to the distribution of naloxone, known by the brand name Narcan. Transit workers, police and paramedics now all are equipped with the overdose-reversing drug. Studies have shown that in Canada and Europe, supervised injection sites have curbed the transmission of HIV and other infectious diseases. And the programs have been credited with averting lethal overdoses and extending a link to treatment services. McSwain, though, remains a skeptic. "That doesn't mean that you're not going to overdose when you're not at the site. And it doesn't mean that there couldn't be other negative effects of having a site, where more people are, for example, getting hooked on drugs or trying drugs, because they think it's safe, or they think it's legitimate or they think it's legal," McSwain says. "We don't attract people to go down this path of drug dependency that destroys their lives." McSwain says there is no evidence that such a model would definitively work in Philadelphia. He worries an injection site would normalize or even entice people to use unpredictable synthetic opioids like fentanyl — a drug that can be 50 times as powerful as heroin. In November, McSwain wrote Safehouse officials a letter imploring the nonprofit to comply with federal law, writing that the federal statute "makes no exception for entities, such as Safehouse, who claim a benevolent purpose." In response, Safehouse officials told McSwain they "respectfully disagree" that the injection site would violate federal law, since the statutes were never intended to be used to attack a medical injection site. "We hope that the U.S. Attorney's office will exercise prosecutorial discretion in assessing our proposed overdose prevention services," Goldfein wrote. Three months later, federal officials took Safehouse to court. "These folks have good intentions and they're trying their best to combat the opioid epidemic," McSwain says, "but this step of opening an injection site crosses the line. If Safehouse or others want to open this type of site, they need to steer their efforts to get the law changed." This story comes from Keystone Crossroads, a statewide public media initiative reporting on cities across Pennsylvania.